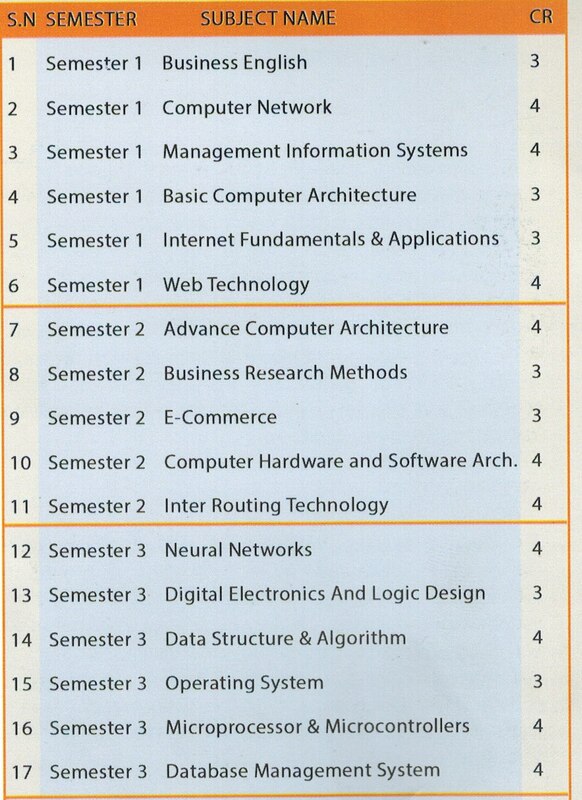 Graduates of Bachelor of Computer Science course will acquire the necessary skills required to manage a net-work and maintain its security. We also provide laboratory facilities, for the study of key areas, such as, network operating systems, network management and net-work implementation. This program offers a unique opportunity to learn about specialist security techniques and use real-world networking equipment in a security context. Students are also educated about market-leading Cisco Routing & Switching Techniques, security appliances, ethical hacking techniques, vulnerability analysis, and penetration testing and data encryption technology. 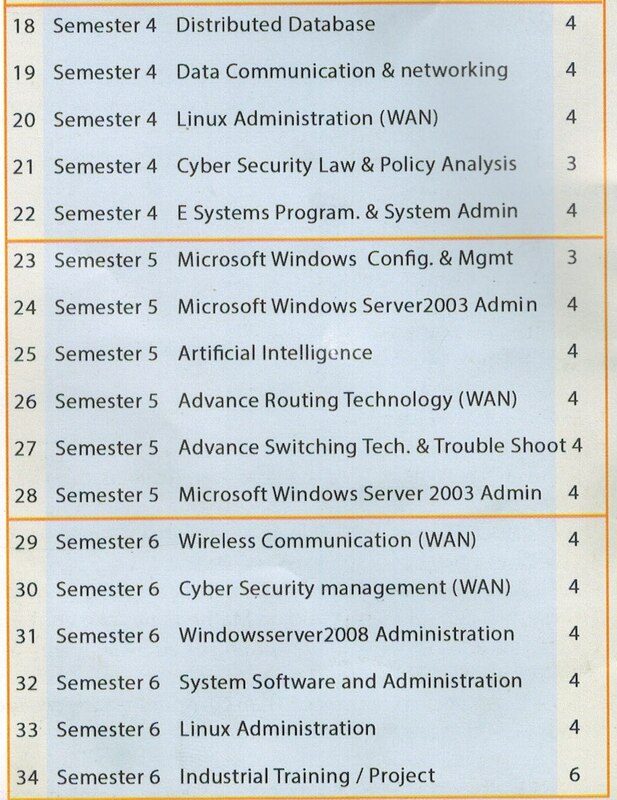 This program also offers flexibility in the final year; with optional units including areas such as Server Windows 2008, Exchange, Administration and Varied Catalogue of Linux Administration/Unix Shell Scripting / Emerging Web Technologies and Cloud Computing/SAP Administration. Our technology-infused course comprises technology, security and networking modules and thus offers diverse job opportunities for students. We also emphasize on the installation, operation, security and maintenance of computer systems as well as networks as far as business and industry is concerned. The course will equip the students with the essential skills for designing, imple-menting and managing systems effectively to ensure that people benefits from the use of these systems. This learning will also help the students to manage, design, implement, configure and operate secure networks on a professional footing and identify the threats to network security and formulate and implement de-fense strategies and mechanisms. Our emphasis on practical learning will ensure that you are well prepared for a career as an effective network security professional. The Program validates the ability to install, operate and troubleshoot a small enterprise branch network, including basic network security. The curriculum covers networking fundamentals, WAN technologies, basic security and wireless concepts, routing and switching fundamentals, and configuring simple networks, medium-size enterprise branch networks with more complex connections. The course will provide a practical hands-on Cisco Routers and Cisco Switches, as no WAN setup is complete without Leased Line/ Wireless /VSAT / DSL etc., and Telecom devices like CSU / DSU, Telco MUX will also be covered in the Practical setup. The training will be provided by Senior Network/ WAN engineers with several years of field experience. The Pro-gram is also appropriate for those who are ready to advance their skills and work independently on complex network solutions.